Conventional wisdom dictates that the finest mechanical watches come from Switzerland, but it wasn’t always that way. For centuries, the Swiss were merely contenders vying for position among Europe’s top watchmakers. And by the end of the 19th century, the Americans, masters of industrialisation, had emerged as leaders in producing reliable timepieces quickly and efficiently. The 19-ligne Calibre differed from its contemporaries in two critical ways: It was produced through an industrialised process—in series, using cutting-edge methods—and it incorporated interchangeable components. Any watchmaker in the world could replace its parts, a development that paved the way for the Swiss watch industry’s transition from a cottage industry into a volume-producing superpower. Christened Omega, after the last letter of the Greek alphabet—a reference to its makers’ ultimate accomplishment—the 19-ligne Calibre was produced by brothers Louis-Paul and César Brandt, whose father, Louis Brandt, had founded a small watchmaking workshop in La Chaux-de-Fonds a half-century earlier. 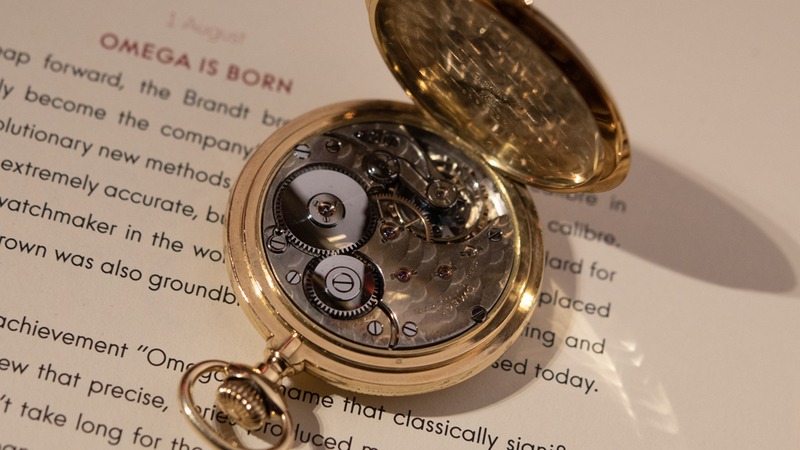 The movement was so well-received that in 1903, the Brandt brothers changed the name of their company to Omega. Over the next century, the firm earned a reputation for making precise and high-quality timepieces, its roots firmly planted in a watchmaking ethos inextricably linked to the 19-ligne Calibre. In late January, the brand honored the 125th anniversary of the groundbreaking movement that lent it its name at an intimate event at the Omega Museum in Bienne. At the event, Omega displayed the De Ville Trésor 125th Anniversary Edition, a 40mm version of its classic gents’ watch featuring the brand’s first manual-winding Master Chronometer movement, a red enamel dial and a caseback embellished by an 18k yellow gold medallion engraved with a decorative pattern, known as damaskeening, found on some of Omega’s original 19-ligne movements. Also on display was something of a 19-ligne Calibre redux, a revised movement featuring original bridges, mainplates, escapements and bimetallic balance spring—retrieved from the vaults of the Omega Museum—as well as updated components including a 21st century-style barrel, mainspring and screws, all designed for a new half hunter pocket watch coming to market in the near future.